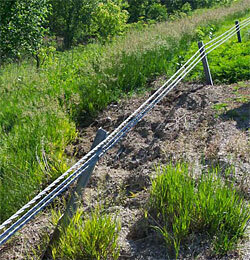 Soil slope instability concerning highway infrastructure is an ongoing problem in Iowa, as slope failures endanger public safety and continue to result in costly repair work. Characterization of slope failures is complicated, because the factors affecting slope stability can be difficult to discern and measure, particularly soil shear strength parameters. While in the past extensive research has been conducted on slope stability investigations and analysis, this research consists of field investigations addressing both the characterization and reinforcement of such slope failures. The current research focuses on applying an infrequently-used testing technique comprised of the Borehole Shear Test (BST). 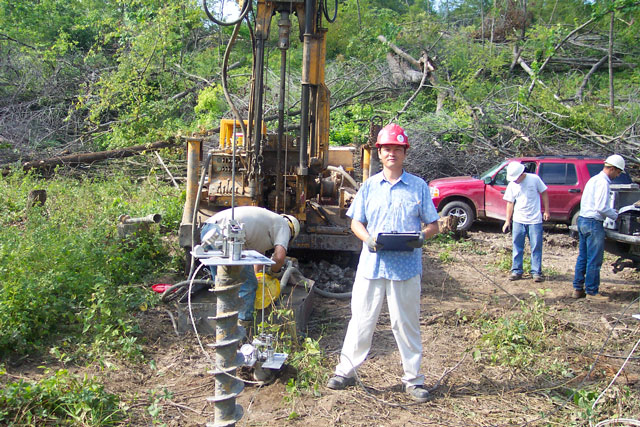 This in-situ test rapidly provides effective (i.e., drained) shear strength parameter values of soil. Using the BST device, fifteen Iowa slopes (fourteen failures and one proposed slope) were investigated and documented. Particular attention was paid to highly weathered shale and glacial till soil deposits, which have both been associated with slope failures in the southern Iowa drift region. Conventional laboratory tests including direct shear tests, triaxial compression tests, and ring shear tests were also performed on undisturbed and reconstituted soil samples to supplement BST results. The shear strength measurements were incorporated into complete evaluations of slope stability using both limit equilibrium and probabilistic analyses. The research methods and findings of these investigations are summarized in Volume 1 of this report. Research details of the independent characterization and reinforcement investigations are provided in Volumes 2 and 3, respectively. Combined, the field investigations offer guidance on identifying the factors that affect slope stability at a particular location and also on designing slope reinforcement using pile elements for cases where remedial measures are necessary. The research findings are expected to benefit civil and geotechnical engineers of government transportation agencies, consultants, and contractors dealing with slope stability, slope remediation, and geotechnical testing in Iowa.